The survey was conducted between Feb. 4, 2013, and Feb. 6, 2013, targeting a stratified random sample of 1,101 respondents representing a 95% confidence level and margin of error of +/-3%. The survey was conducted by email and targeted a nationwide sample. All efforts were made to ensure a representative sample of the U.S. population 18 years and older given normal standards of statistical sampling. 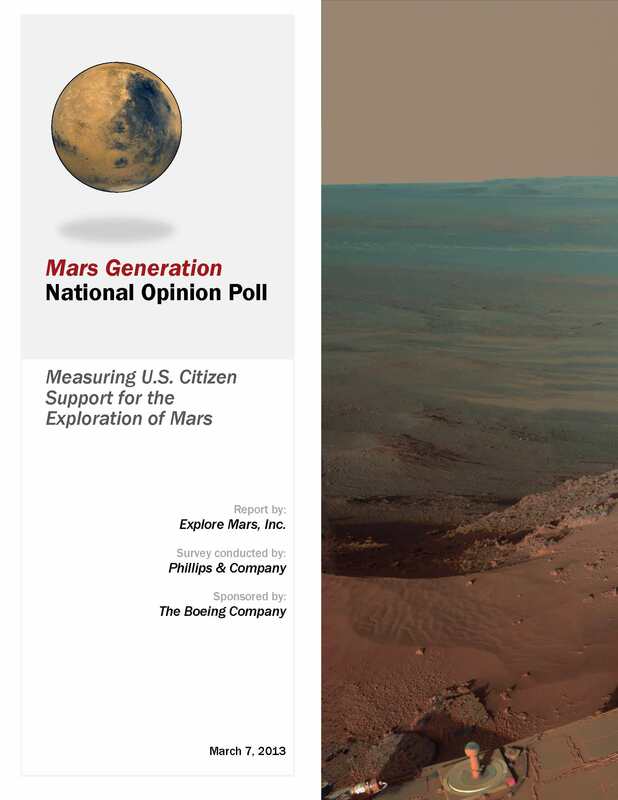 The “Mars Generation” survey was conducted by the independent market research team at Phillips & Company and sponsored by Explore Mars, Inc., a non-profit 501(c)(3) organization, and The Boeing Corporation.